Capturing appealing landscape photos is a challenge for most photographers. 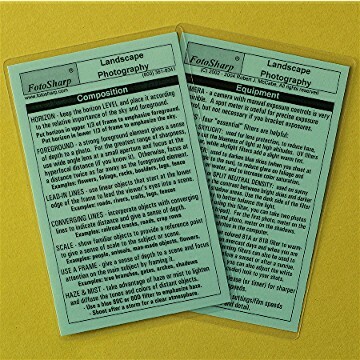 This 3.5" x 5.5" laminated cheat sheet discusses how to use "essential filters", offers tips on composition, etc. to help you create better landscape photos.